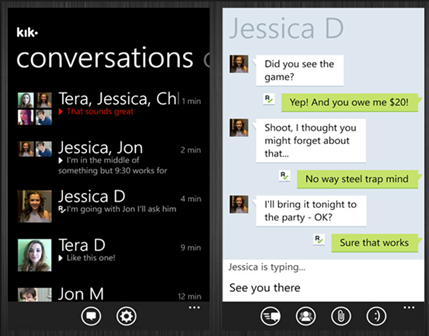 Kik Messenger now becomes the most-used cross platform app in Apple, Android, Windows or BlackBerry market. Compared with WhatsApp or Facebook Messenger, Kik messenger is much more private. Users can register in kik without using phone number or other private information. 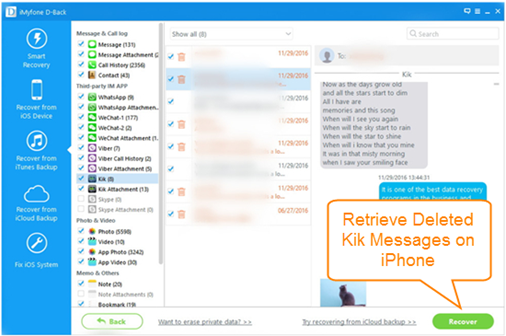 Kik can do more than just messaging, you can hang out to chat in groups or one-on-one with friends by sending kik messages, pictures, emojis, GIFS… Generally, it is vital to form a habit of creating a backup file of Kik messages in case of any data loss. 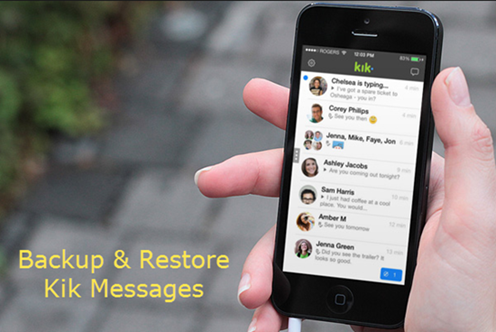 In this article, I’ll show you how to backup and restore kik messages on iPhone 7/7 Plus/6. Part 1: How to Backup Kik Messages on iPhone? Kik can only automatically backup 1000 messages in 48 hours. For chats that have passed 48 hours, only last 500 messages will be available for viewing. So manually backing up kik messages has become more important. When it comes to backing up iPhone, most users immediately think of using iTunes: Open up iTunes and connect iPhone to PC, tap on iPhone icon when it appears in iTunes and click “Back Up Now” to start syncing process. However, there is one annoyed point that you are not allowed to view iPhone backup files or selectively restore kik messages from iTunes backup. 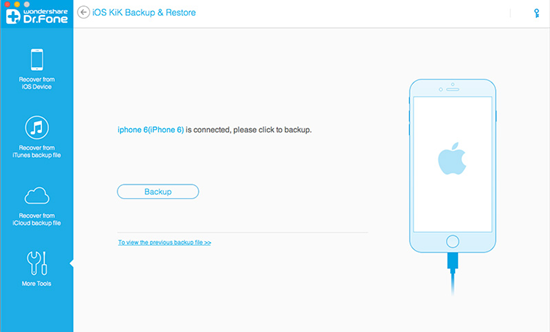 Here I recommend you to sync iPhone with professional tools that enables you to access and view iPhone backup files, such as Backuptrans iPhone Kik Transfer or iOS Kik Backup & Restore from Wondershare. Sometimes you may get frustrated when kik messages gets lost due to accidental deletion, jailbreaking, iOS updating…Don’t fret, here are some ways to get kik messages back in part 2.
iPhone Data Recovery empowers users to preview and retrieve old kik data, including photos, videos, directly from iPhone or from iTunes/iCloud backup without restoring iPhone. 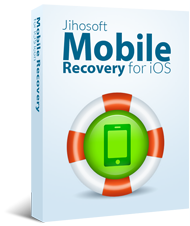 Step 1: Install and launch this iPhone Data Recovery on your Mac/Win. Step 2: Connect iPhone device to PC and click “Start Scan” to continue. Or you can choose to click “Next” to recover data from iTunes/iCloud backup if your iPhone is stolen or broken. Step 3: When the scanning finished, selectively preview and select “Kik Messages”, click “Recover” to recover lost kik conversations on iPhone. Besides recovery tool, here is another option to get old kik messages back, that is to ask friends who you have chatted with to send specific kik messages or take a screenshot for you. It’s only appropriate when you just need one or two friends to help you out.